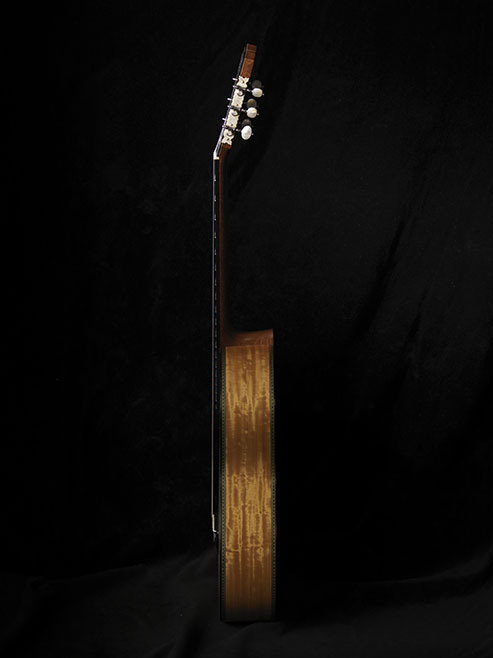 This is my version of what I believe a modern concert guitar should be. 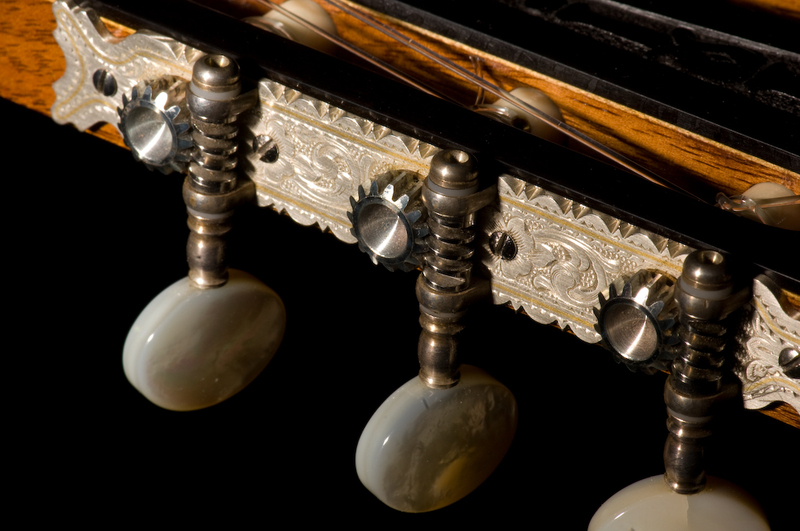 It draws heavily on historical influences and places them in a contemporary context. 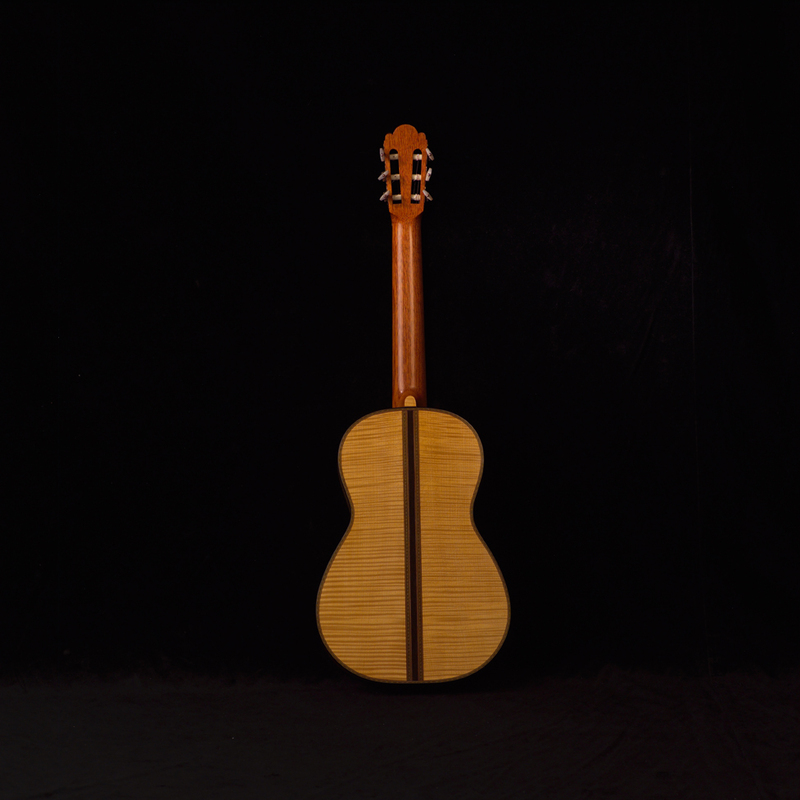 Torres built in two distinct periods designated as the first and second epochs. 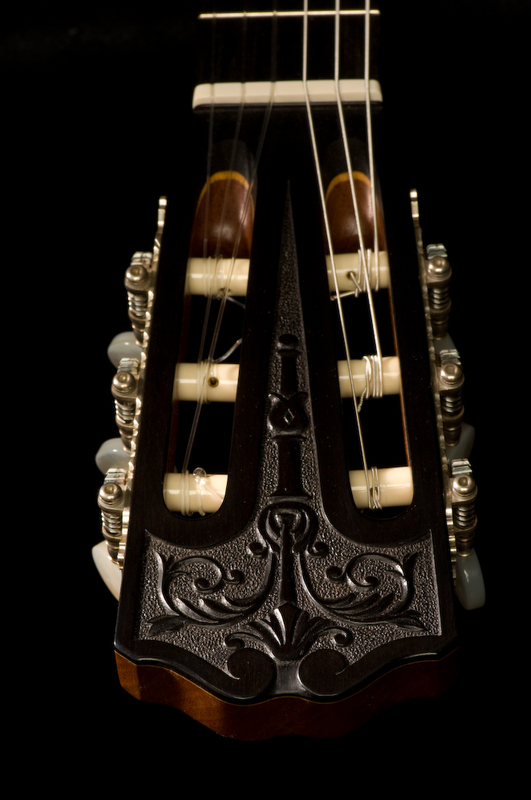 The first was more experimental, but by the second the plantilla of his finest concert instruments had become standardized. 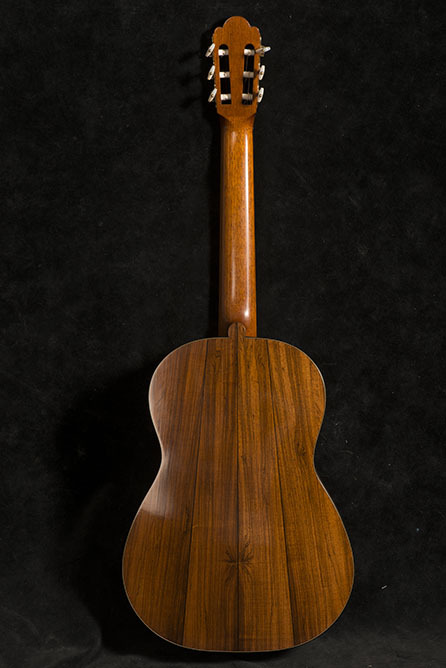 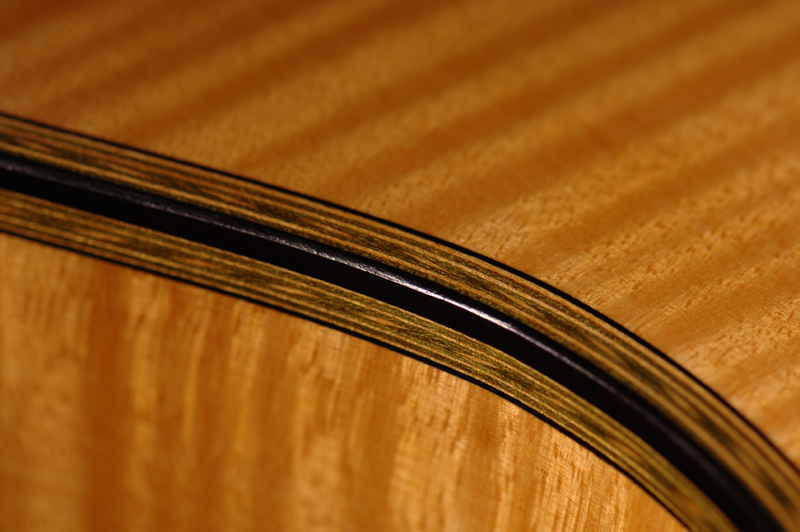 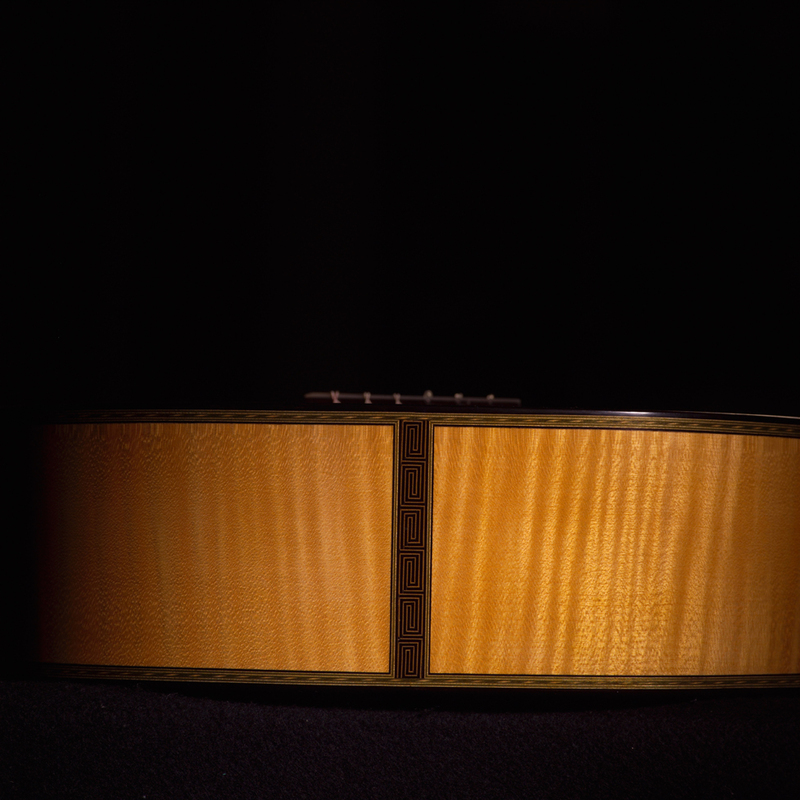 These are two of my reproductions of this model, one in Brazilian rosewood, the other in maple. 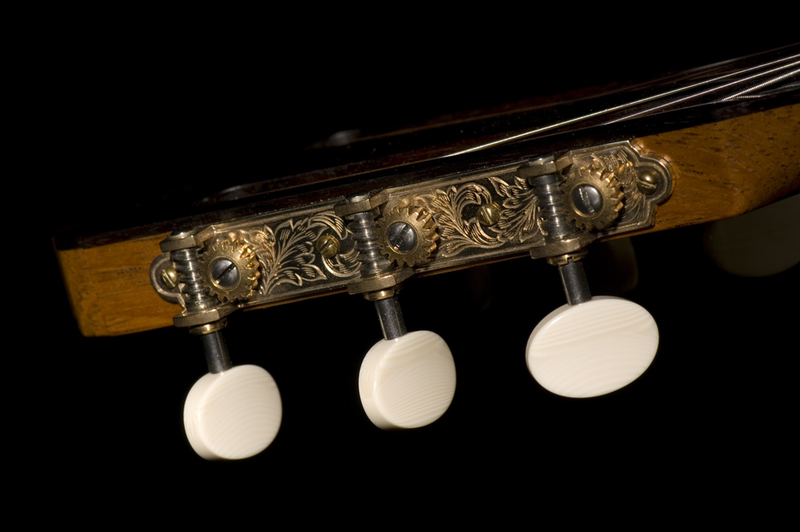 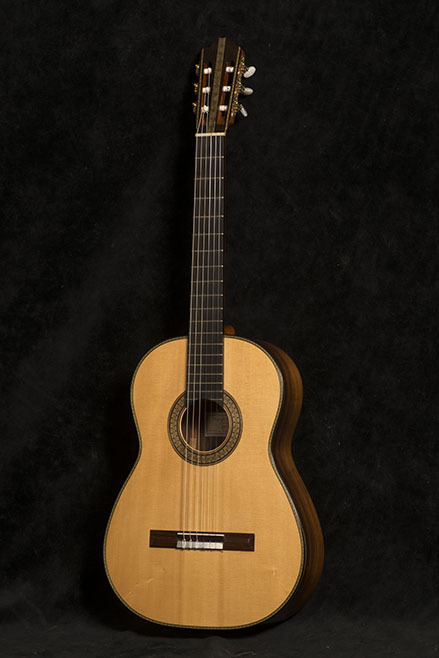 Torres made three guitars for Francesco Tarrega; the first was an 1864 instrument designated in the Romanillos catalogue as FE17. 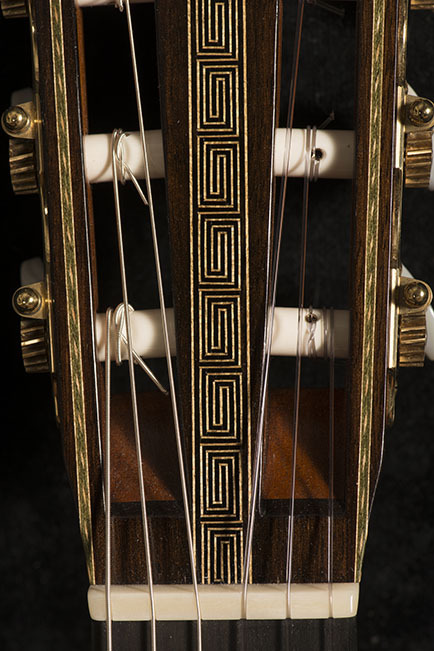 It is lavishly ornamented and features most of the decorative motifs used by Torres throughout his career: meander (or Greek key), fine green and white wheat-ear (or herringbone), the chequerboard, and the lozenge. 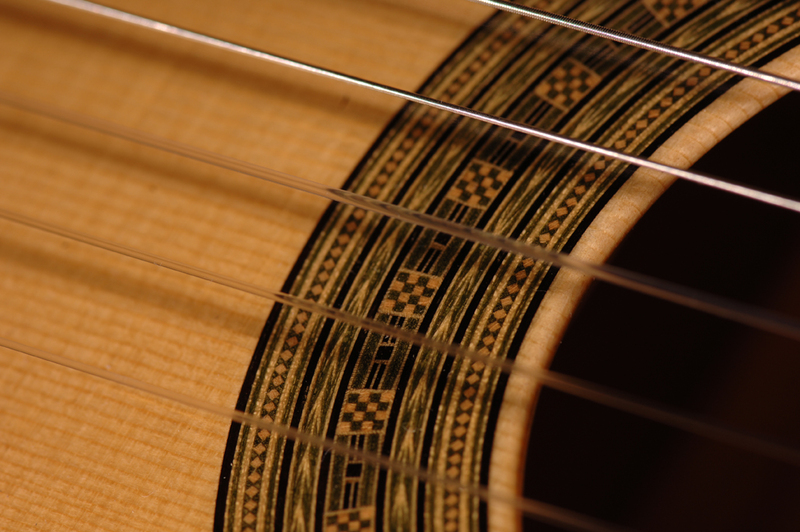 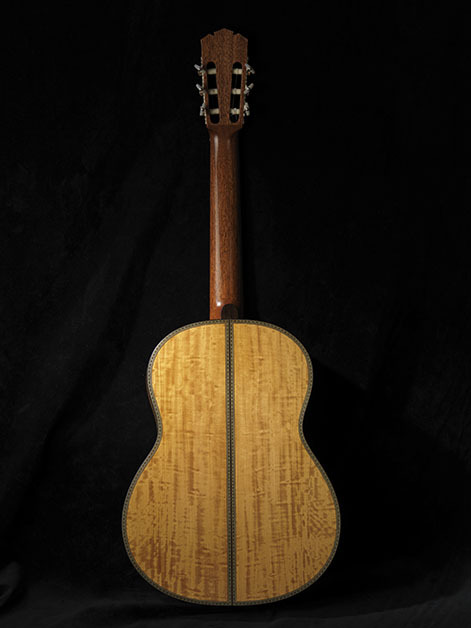 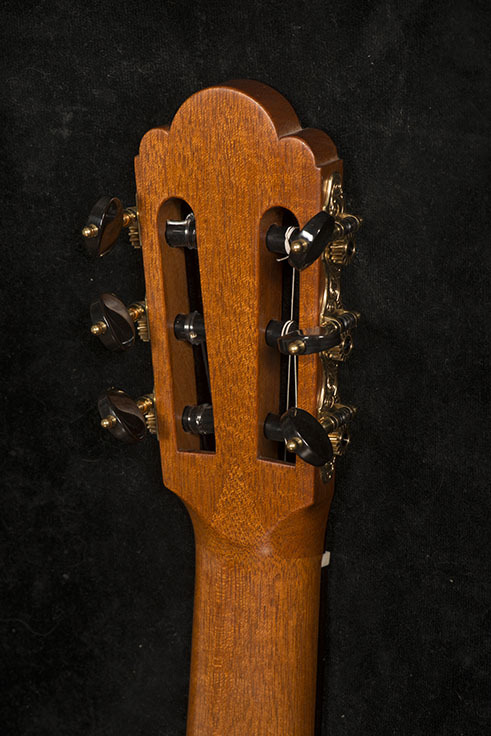 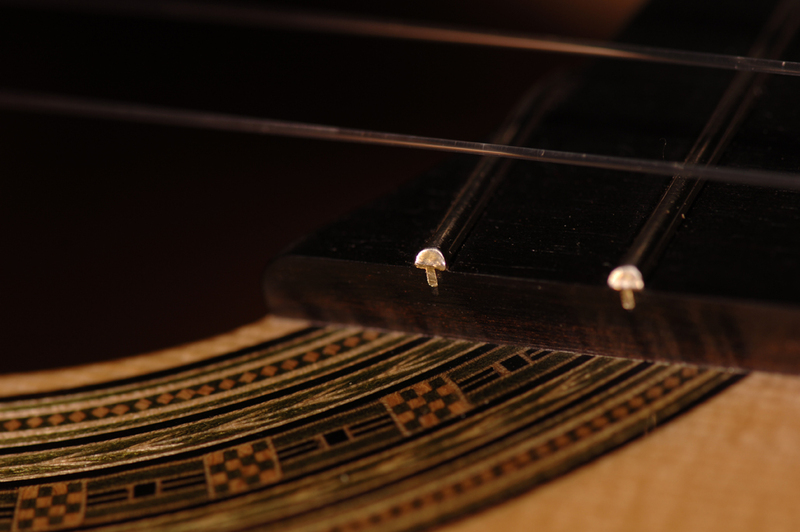 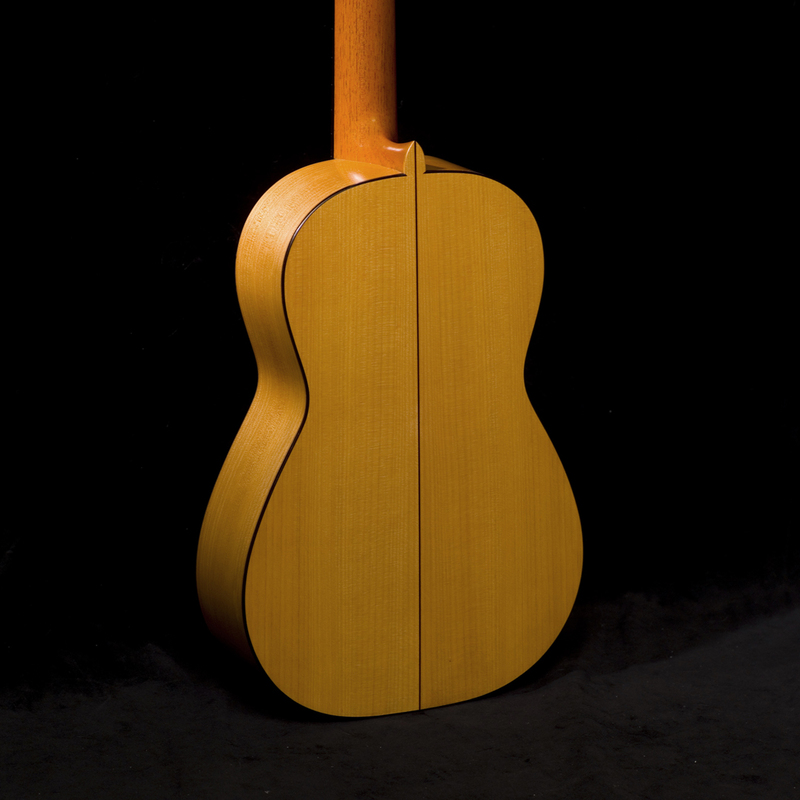 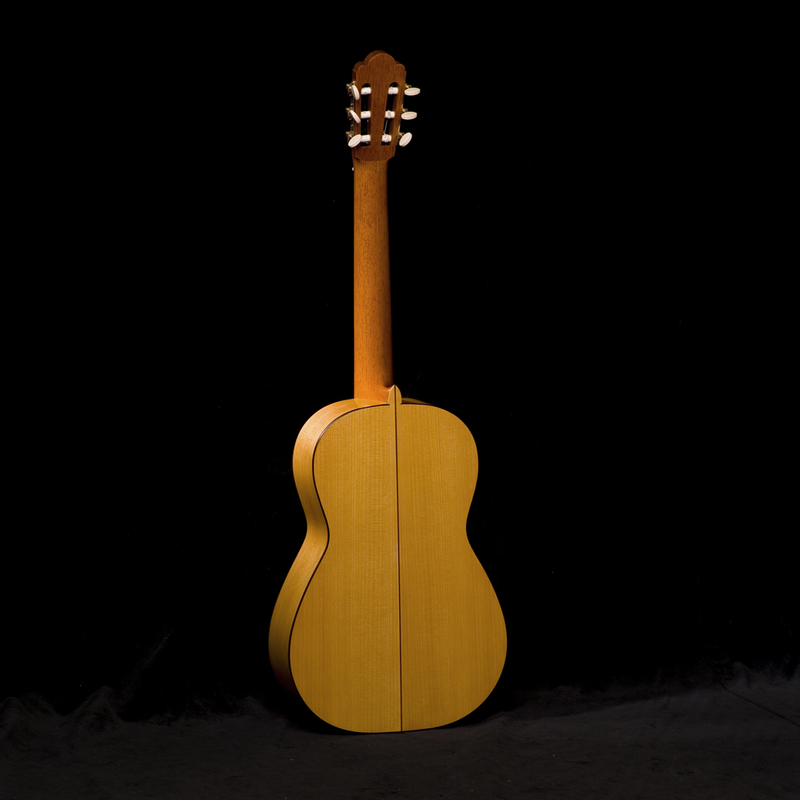 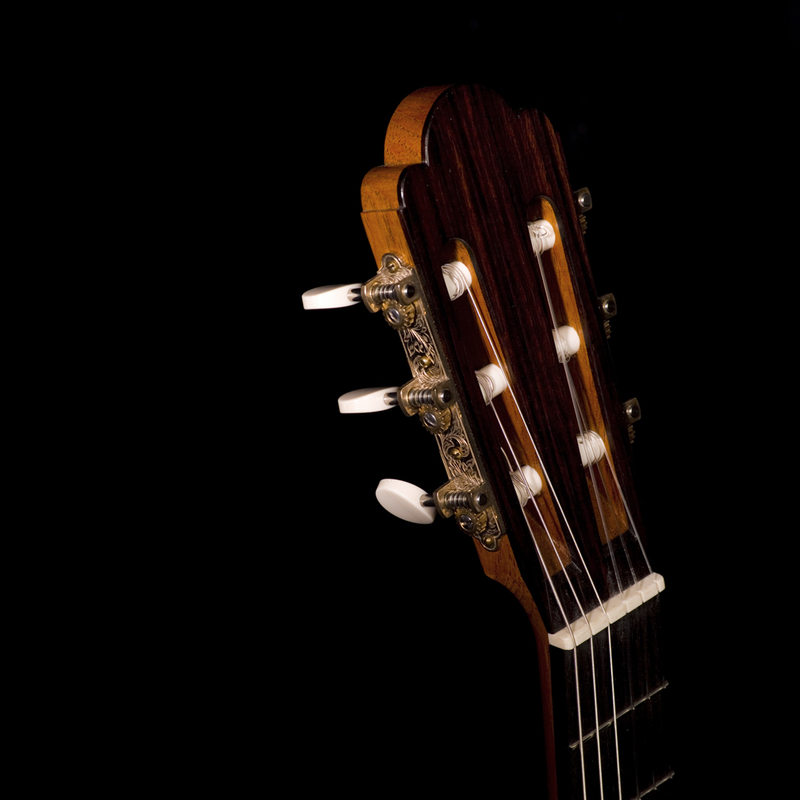 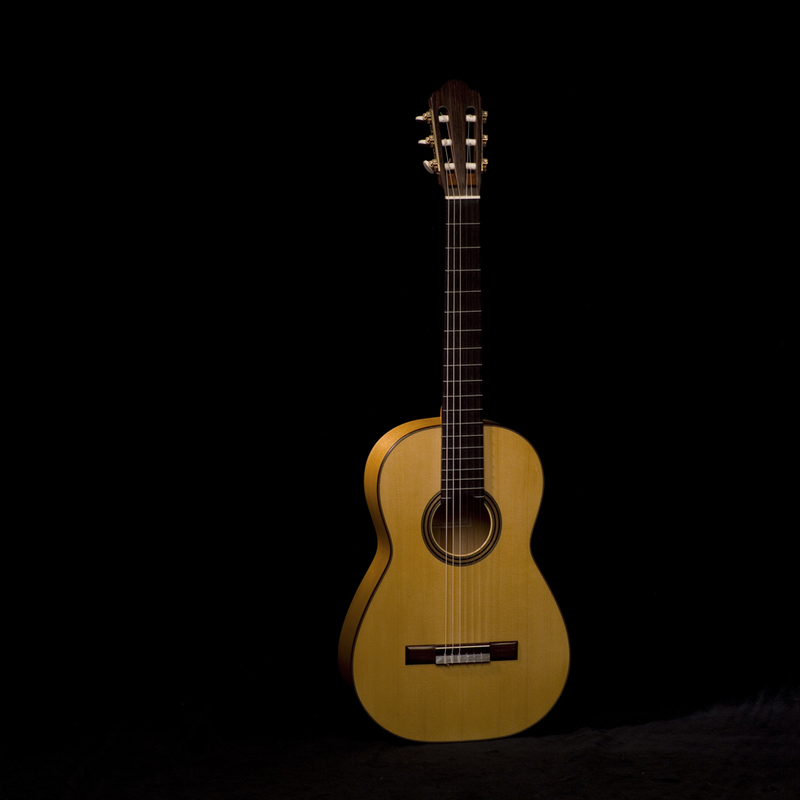 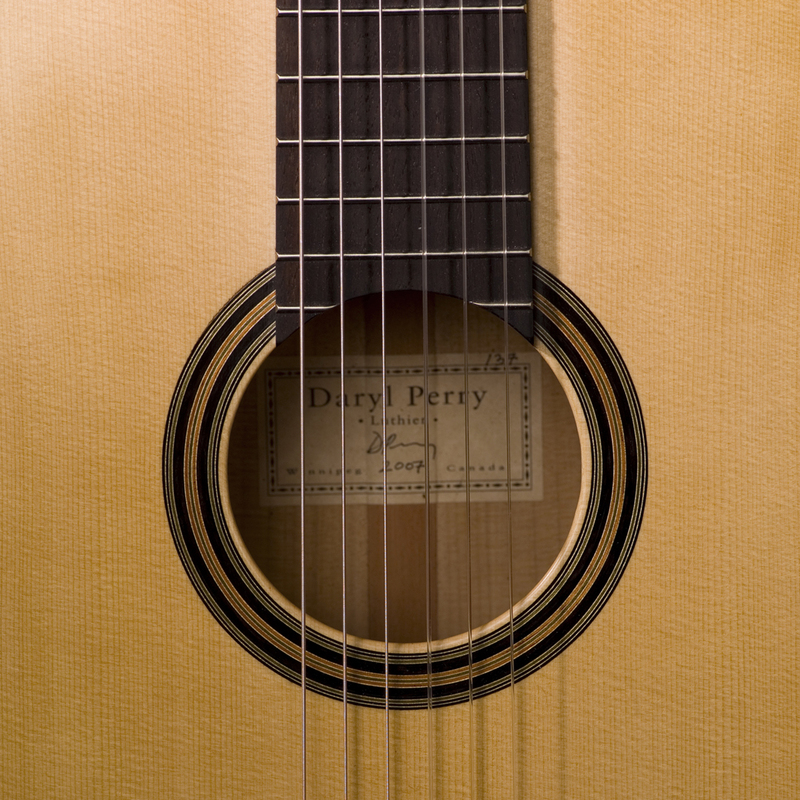 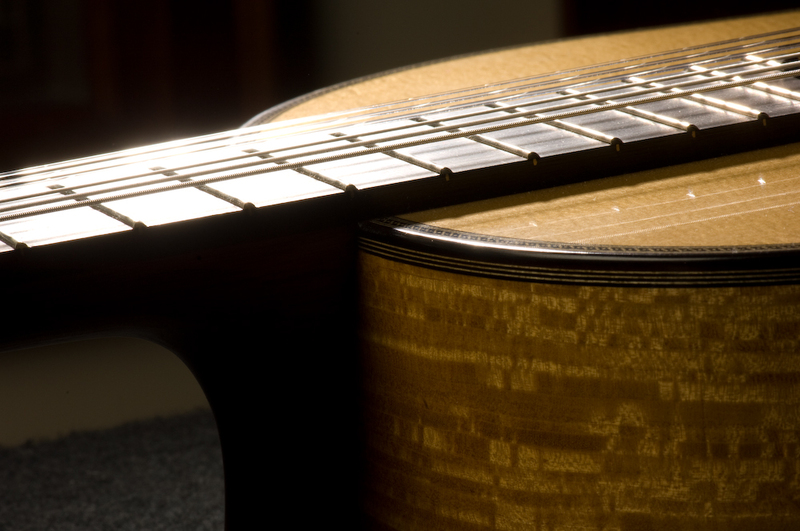 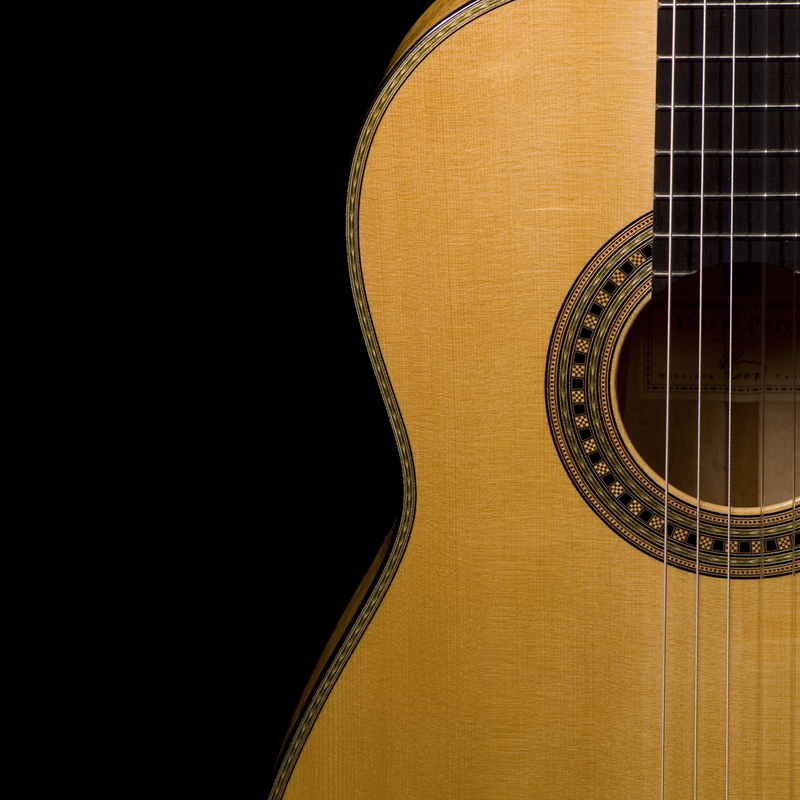 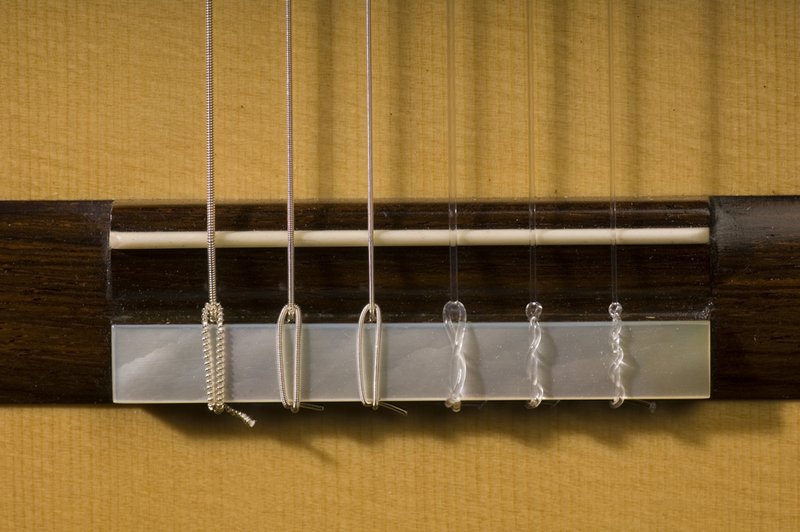 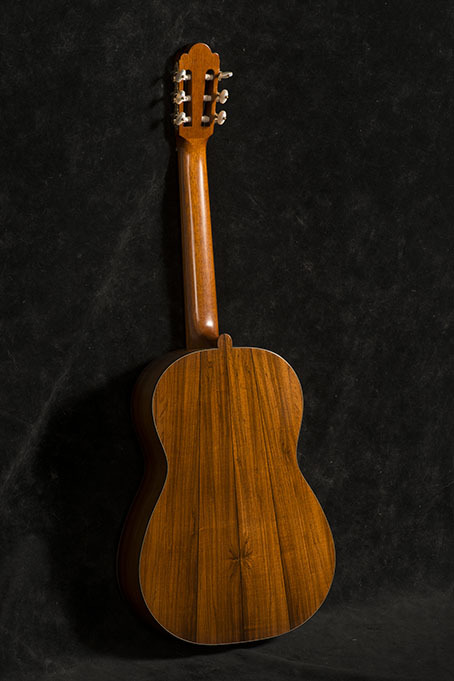 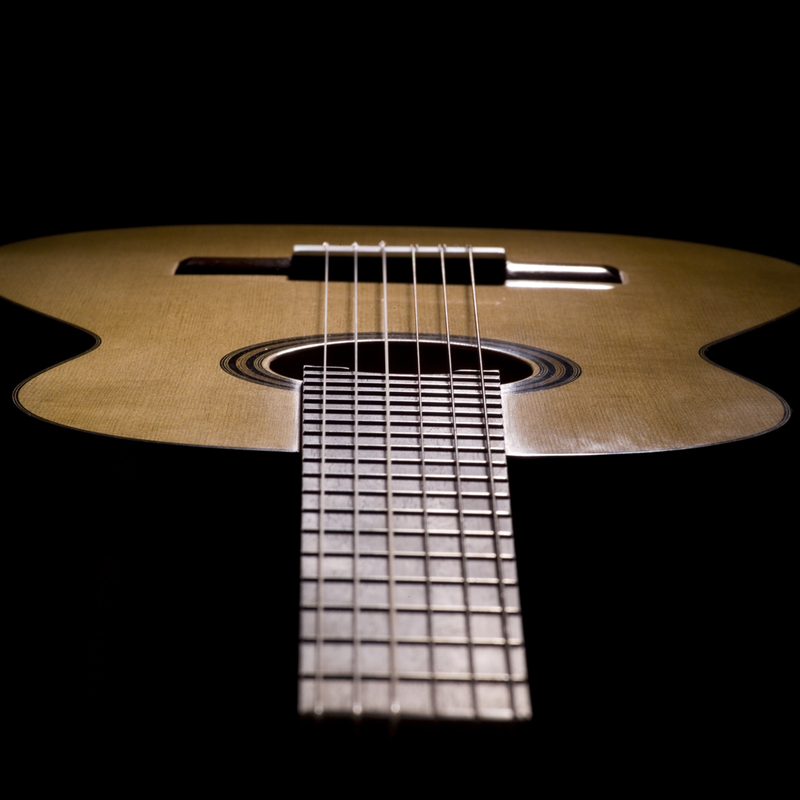 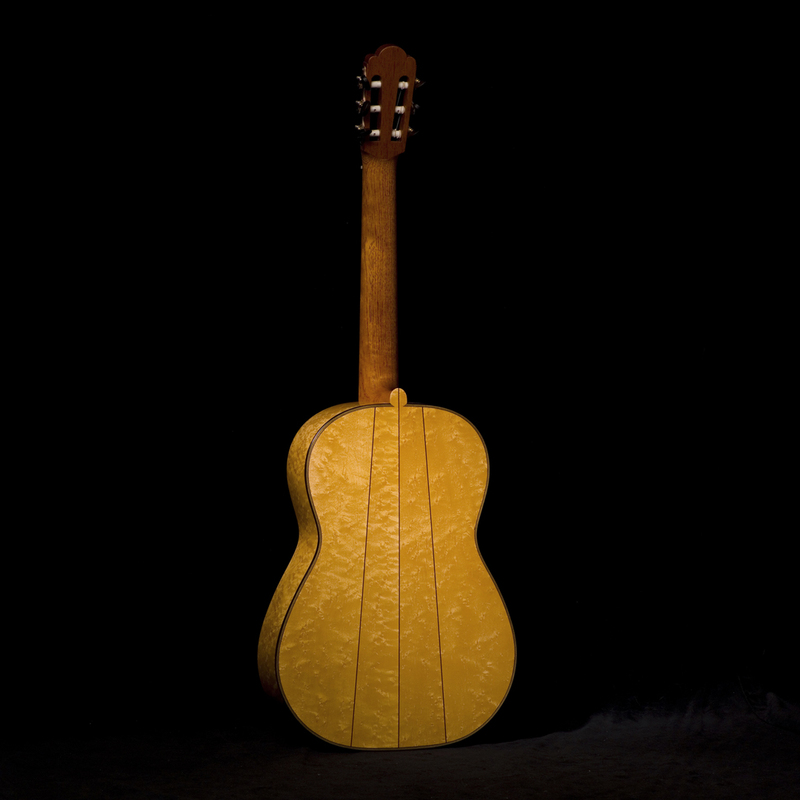 Throughout his career Torres made guitars of inexpensive materials, featuring this simplest possible decoration. 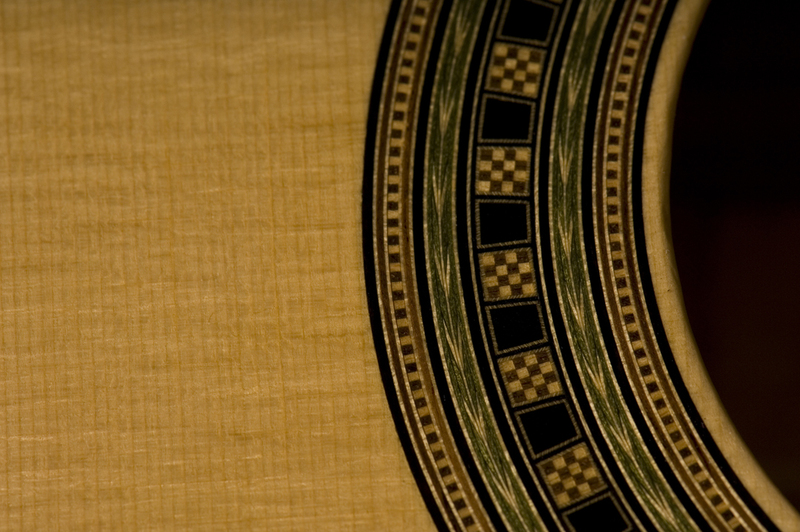 I am pleased to offer these as less expensive versions of my work. 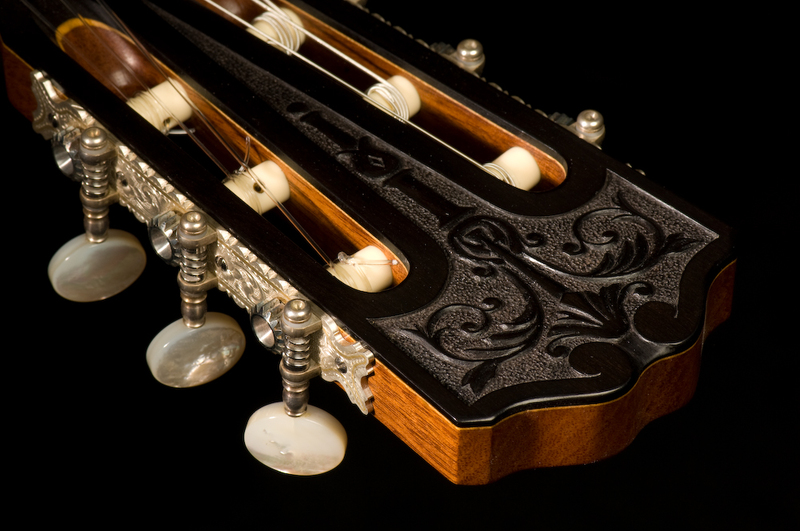 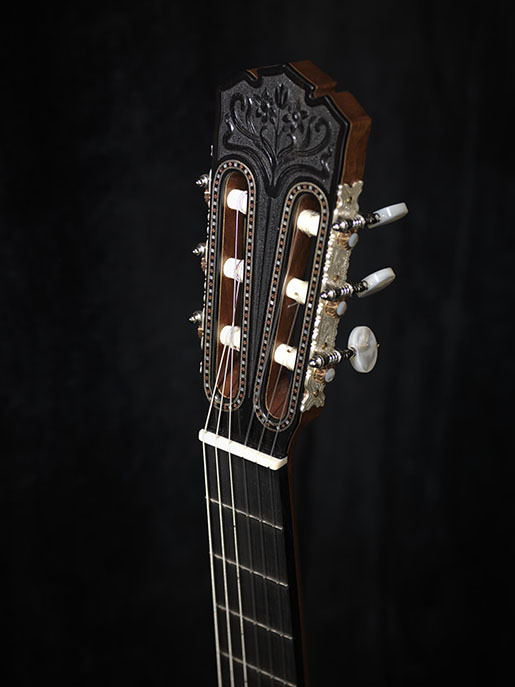 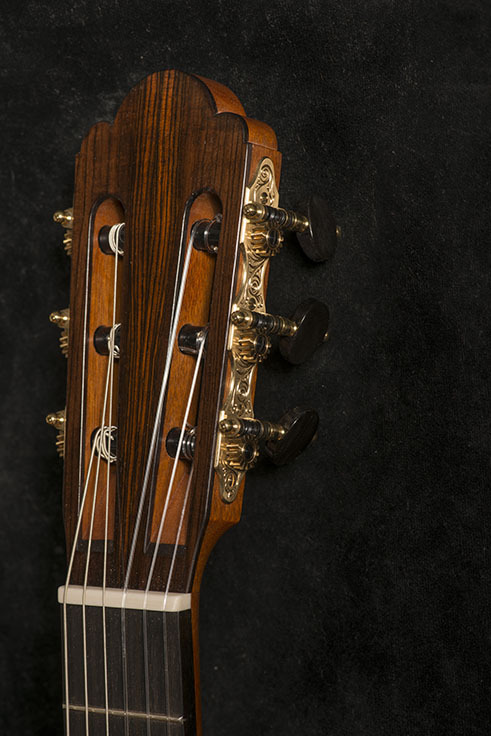 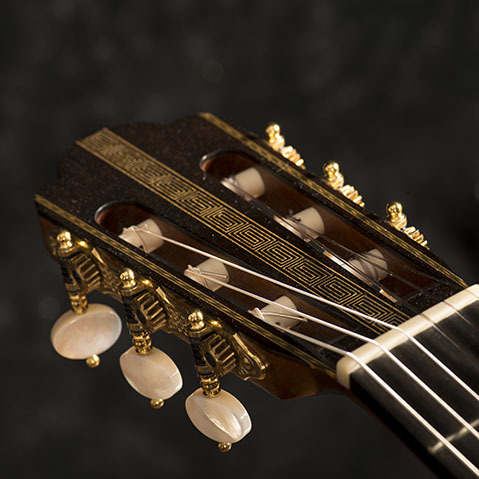 Garcia/Simplicio Guitars are well known for their exceptionally high degree of ornamentation, both the relief carving on the head and the intricate mosaics found in the rosettes and purflings. 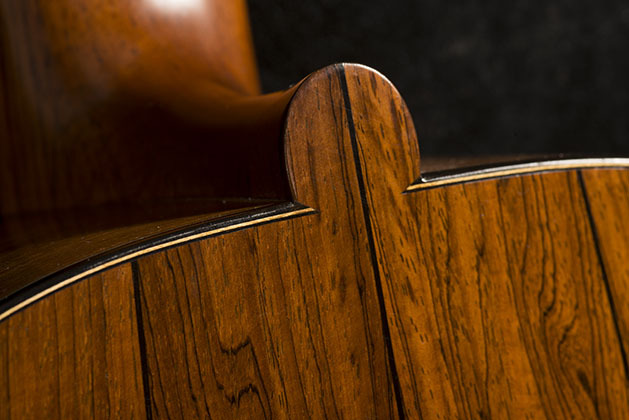 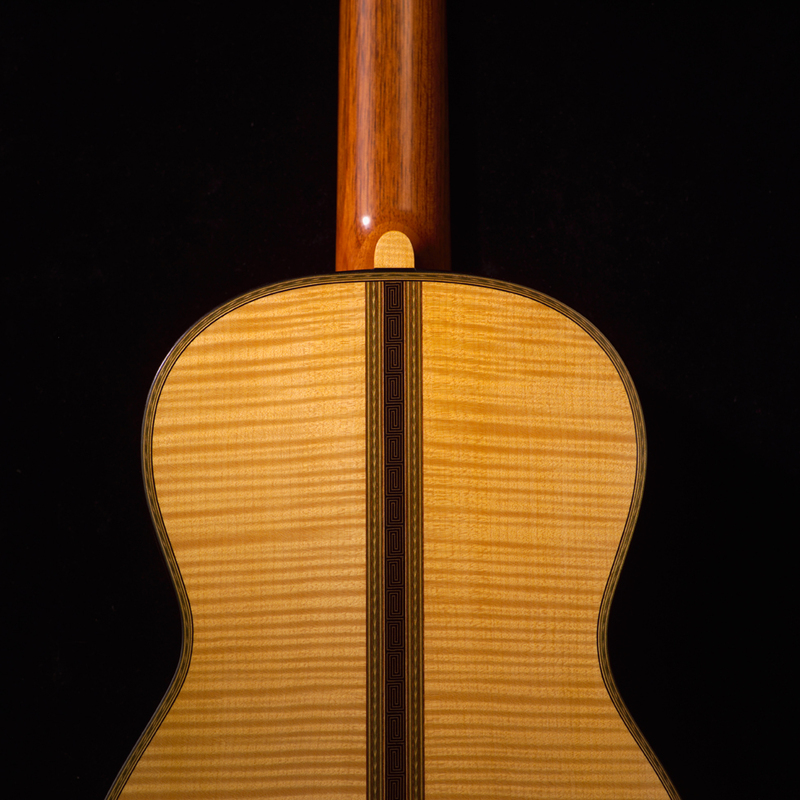 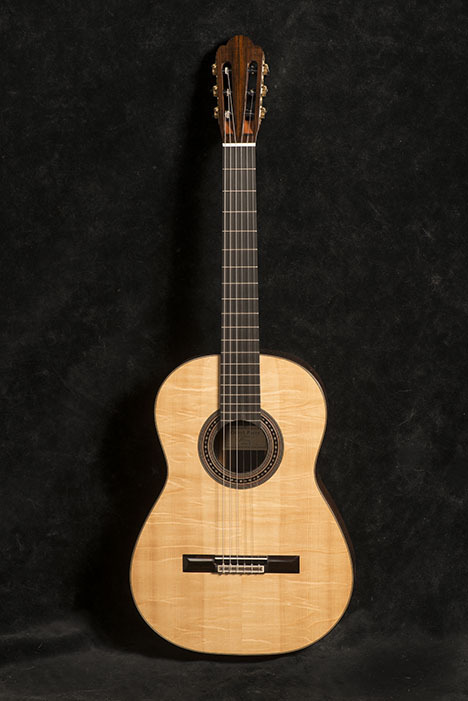 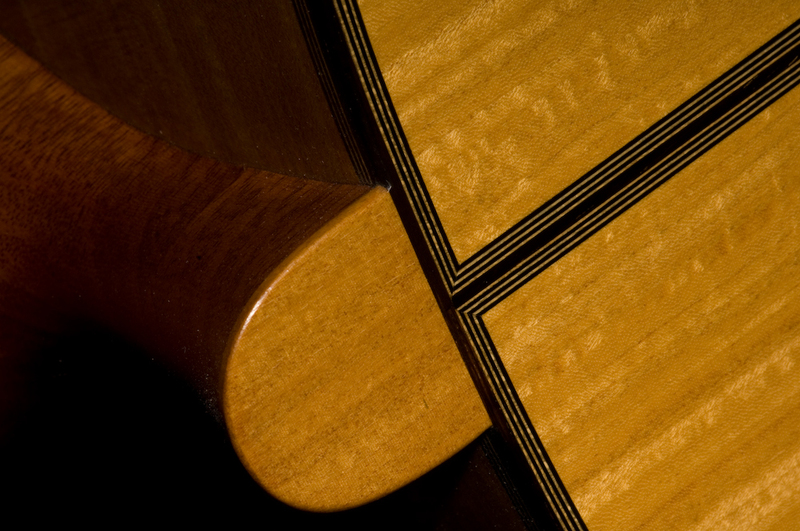 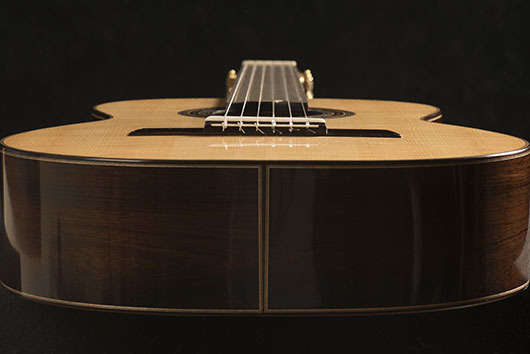 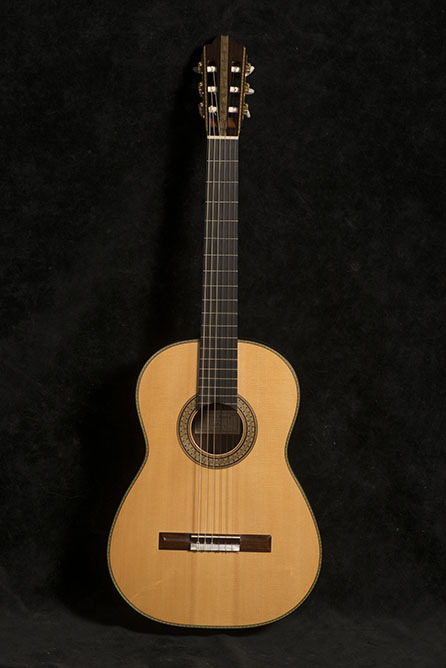 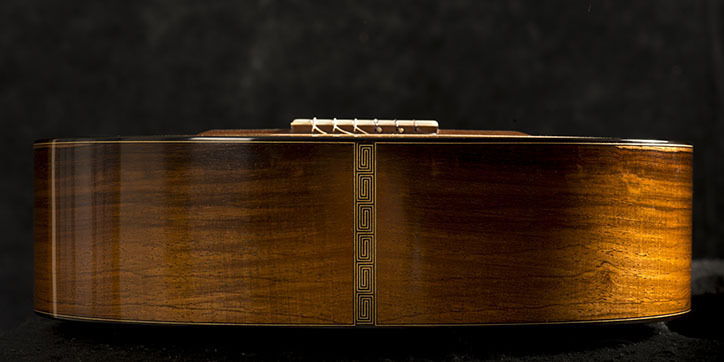 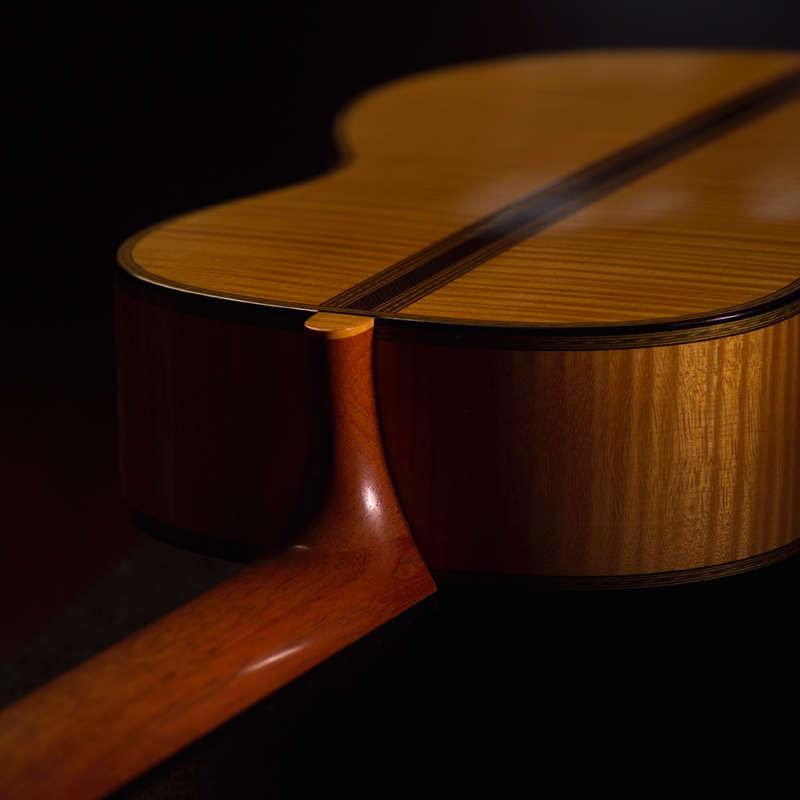 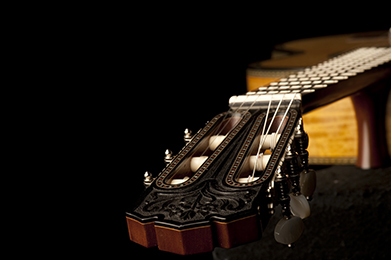 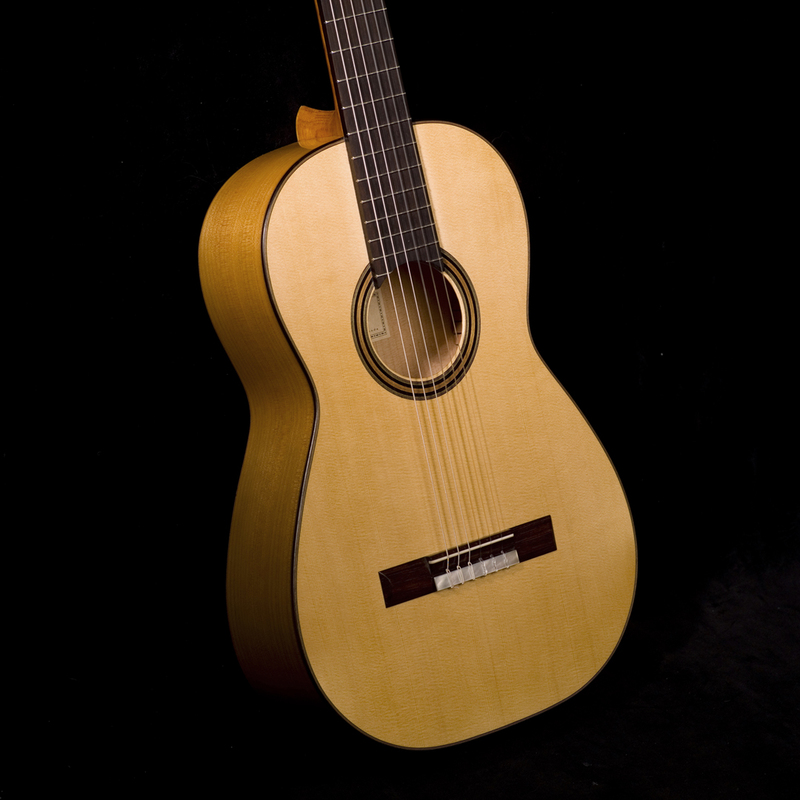 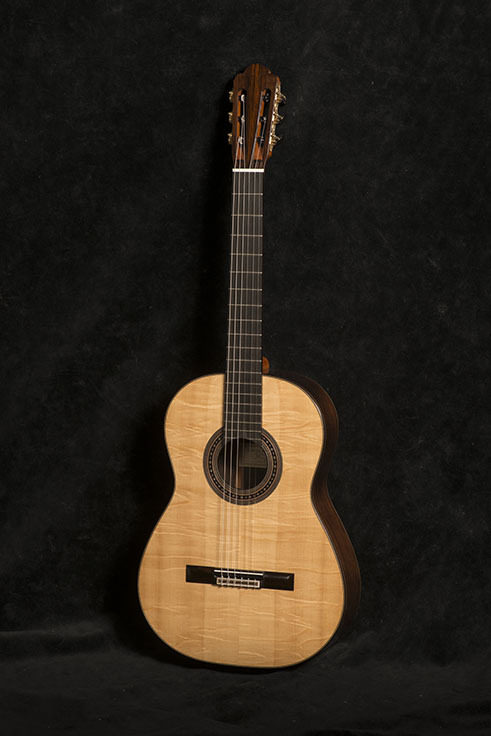 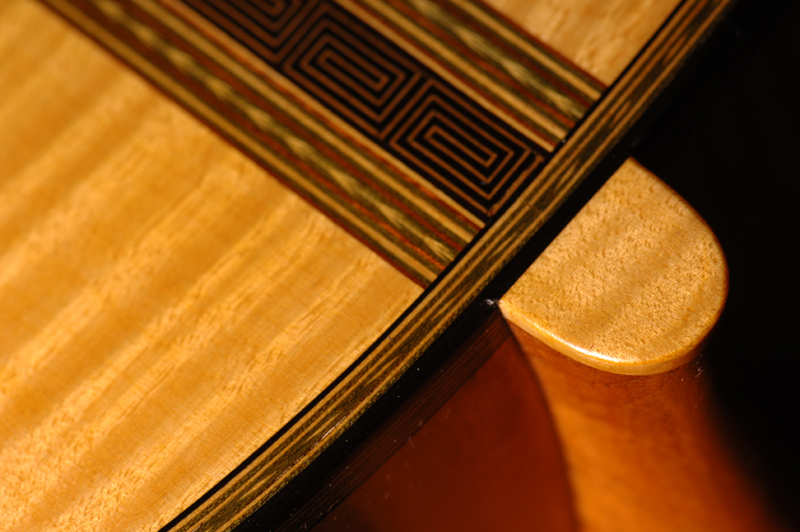 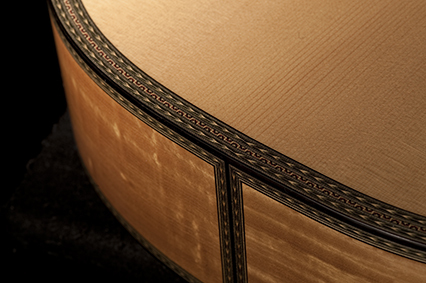 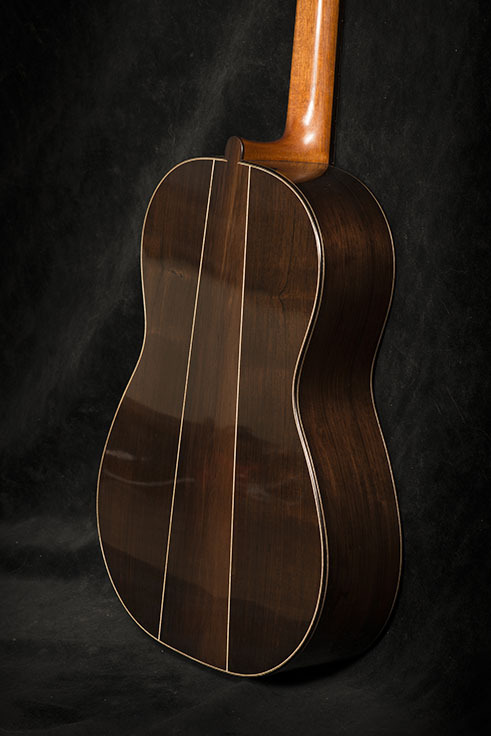 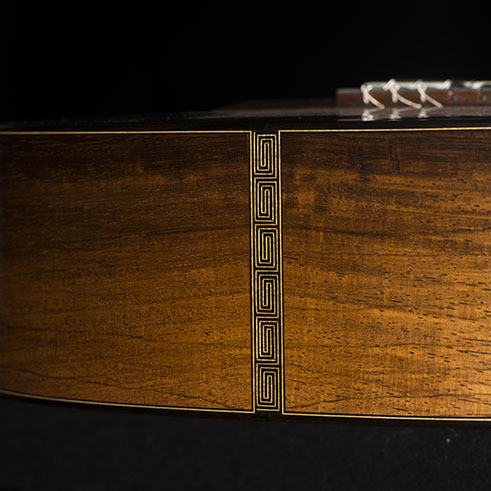 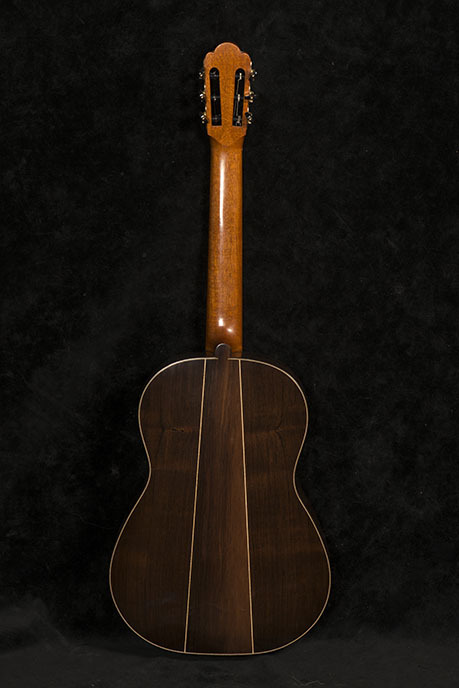 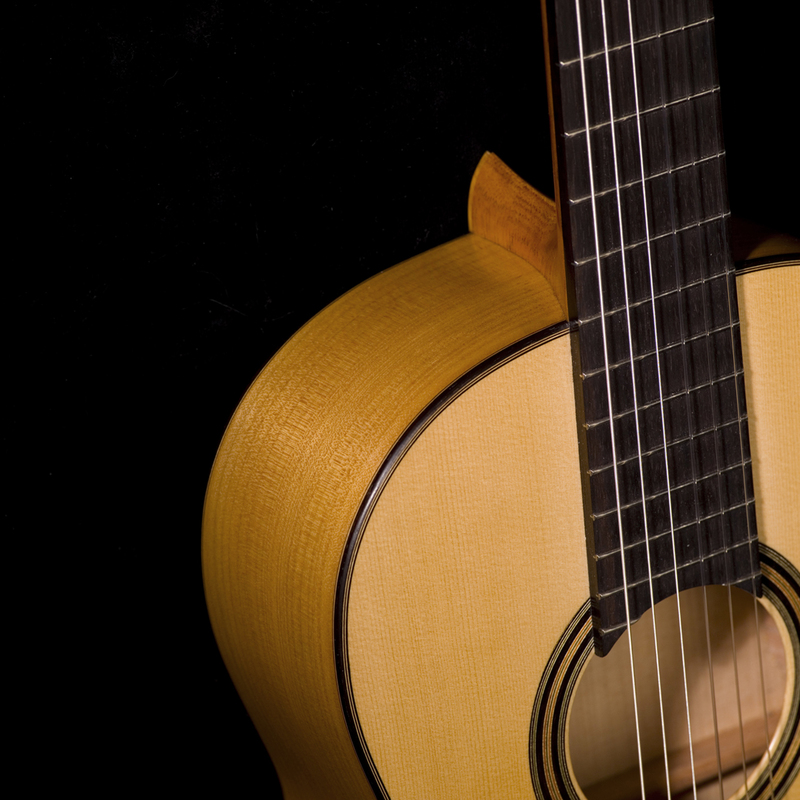 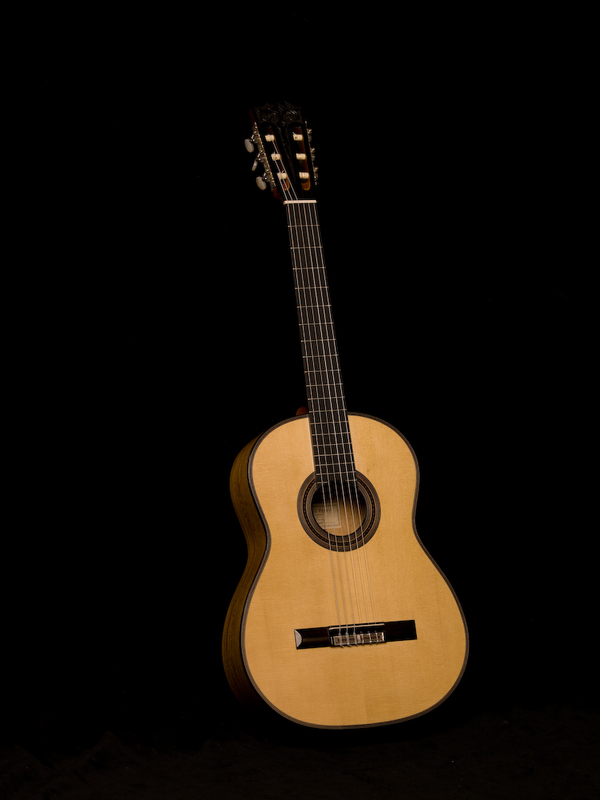 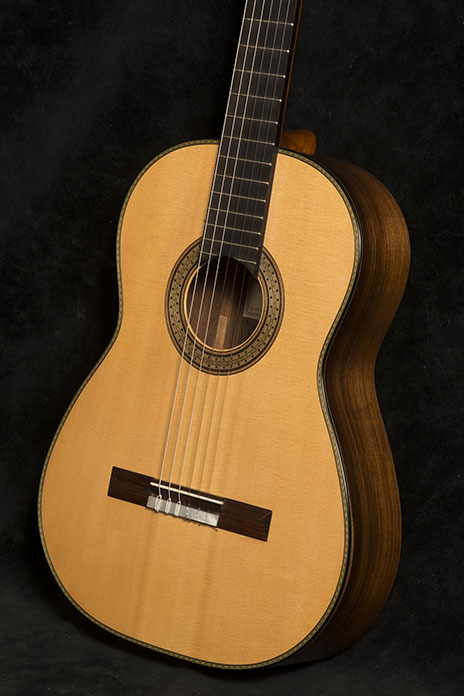 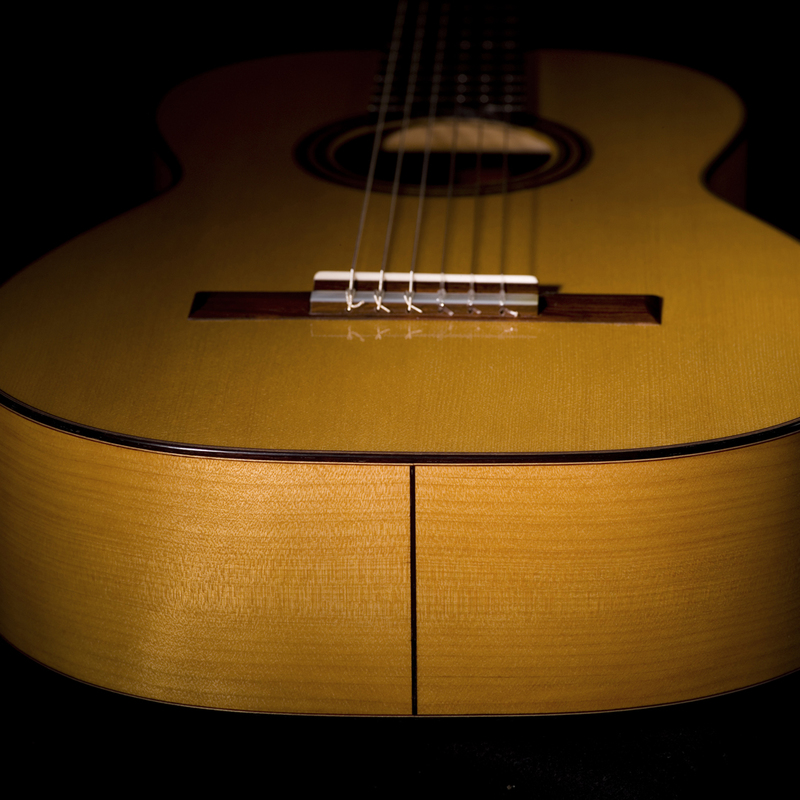 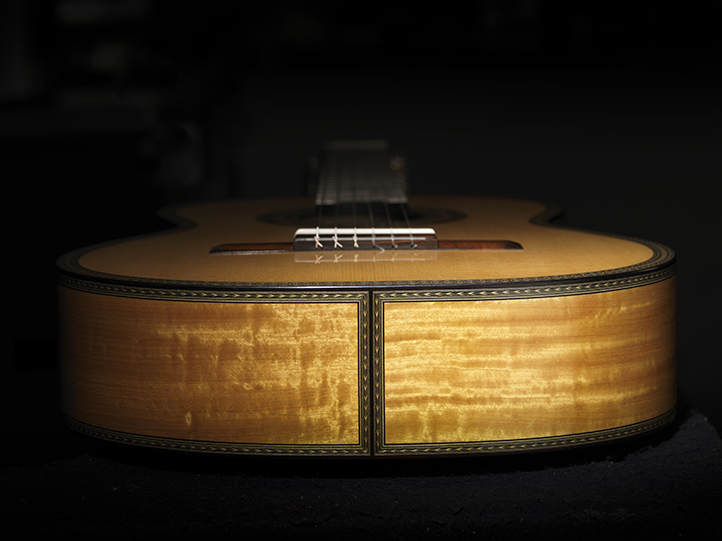 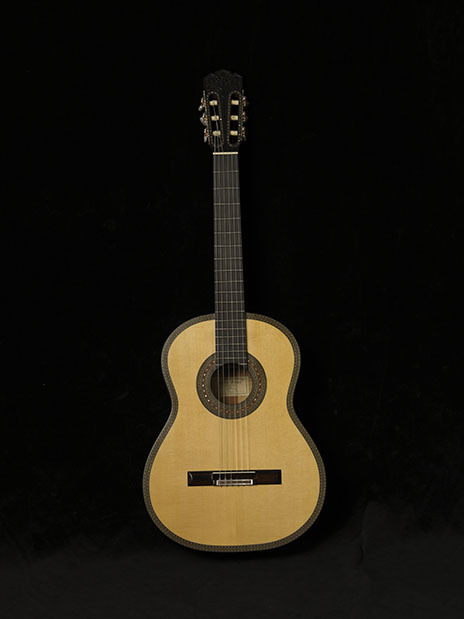 One of the first and most important luthiers to embrace the central ideas of Torres was Enrique Garcia of Barcelona. 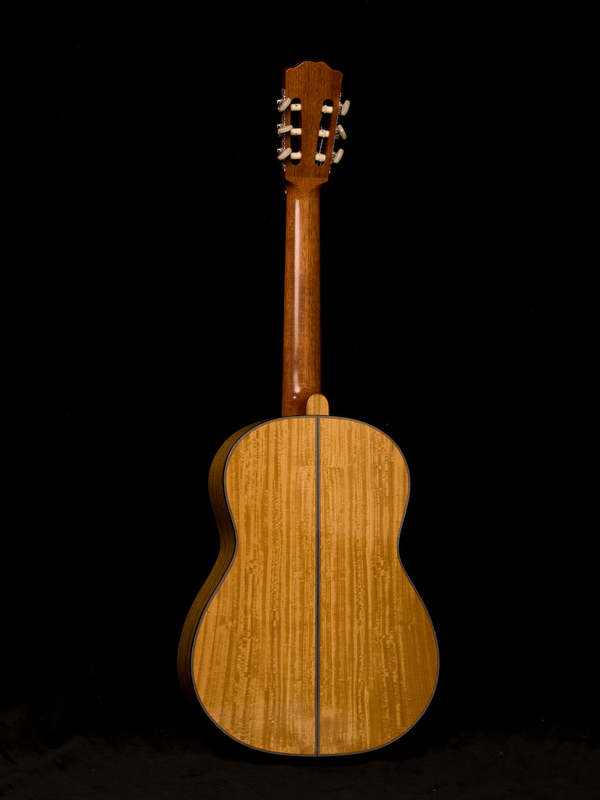 Francisco Simplicio was his only pupil and successor. 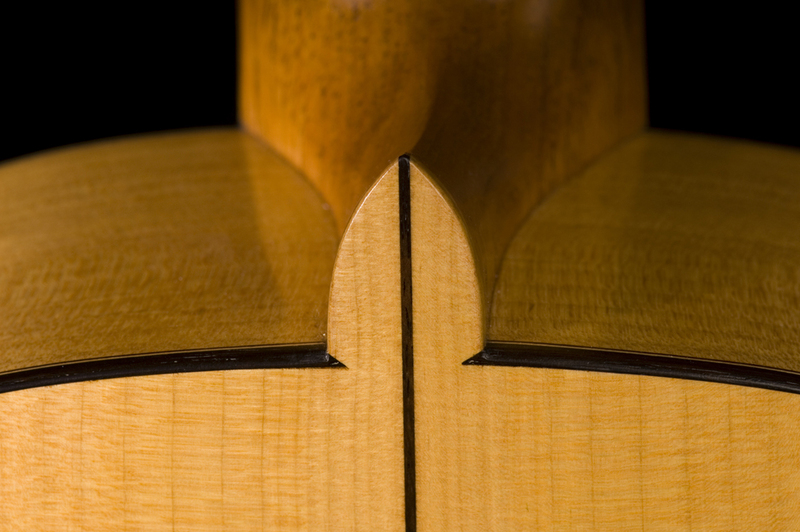 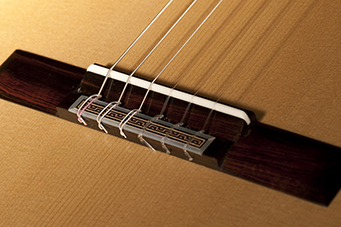 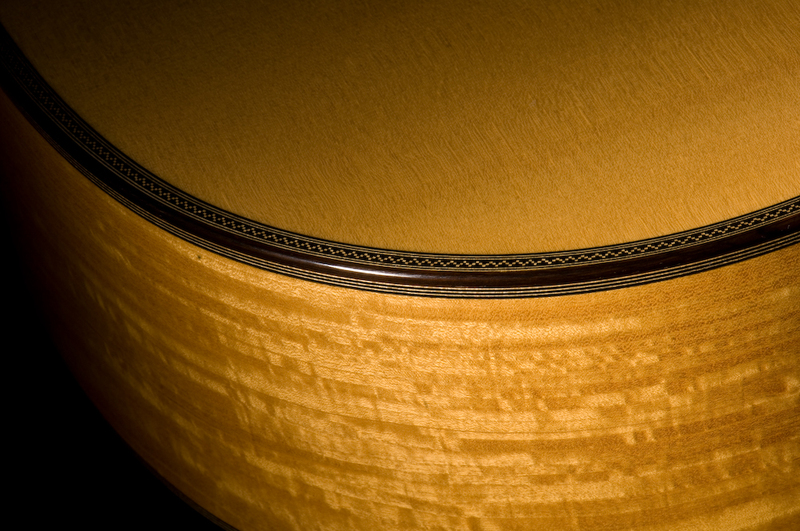 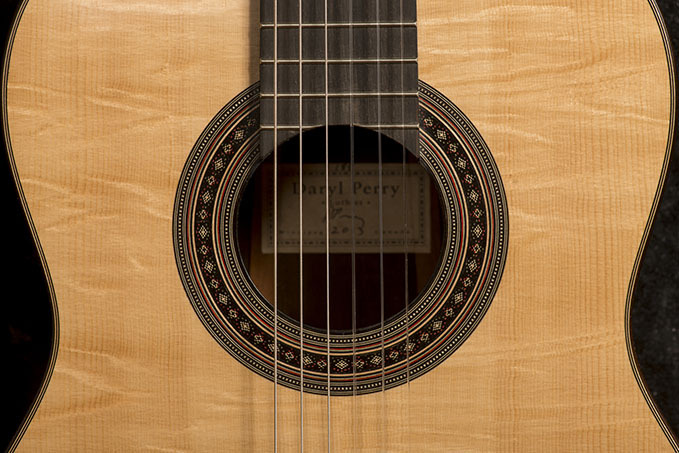 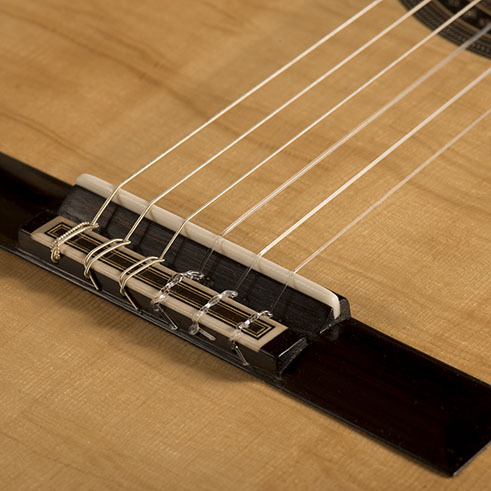 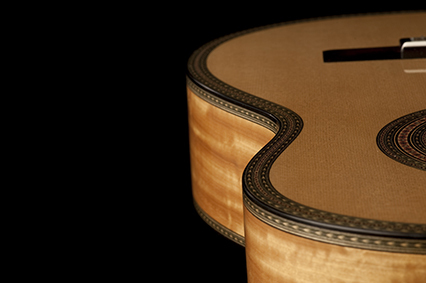 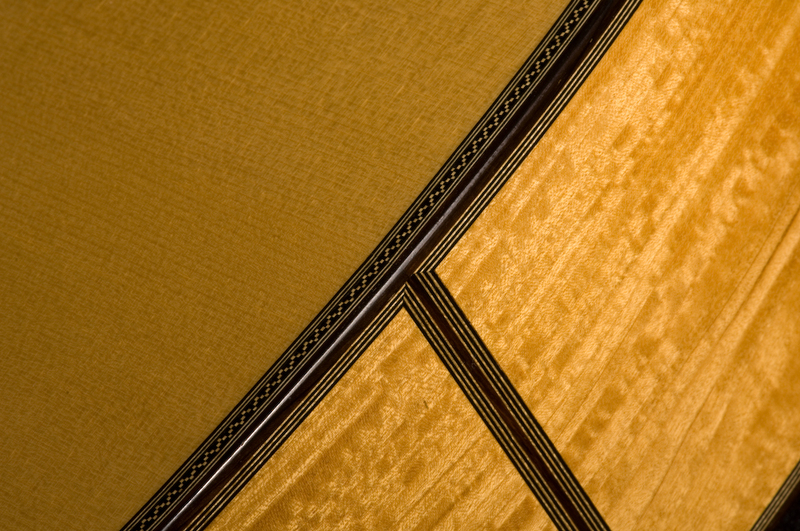 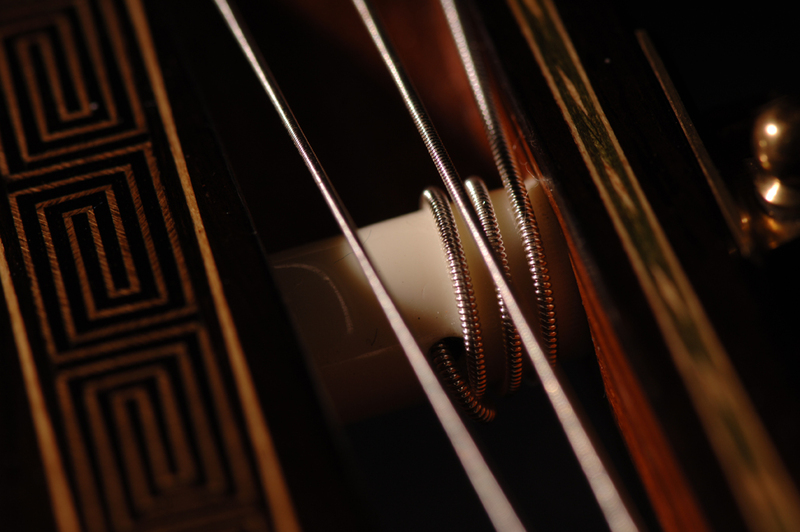 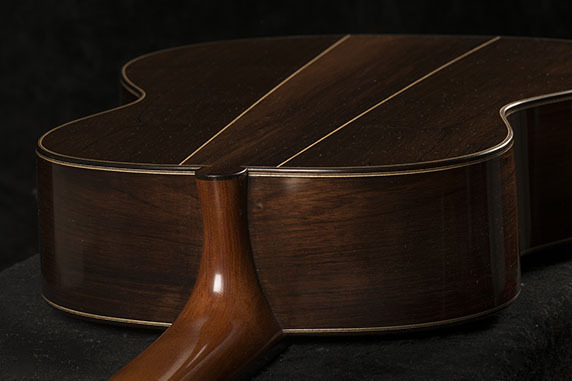 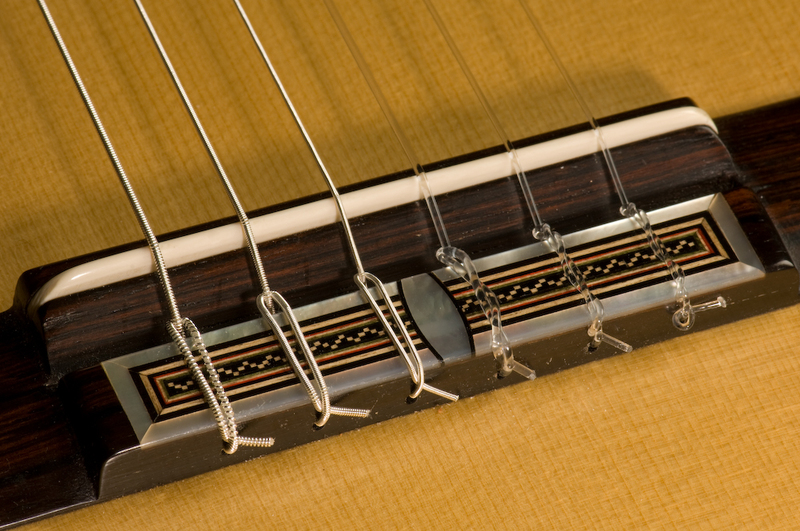 Garcia introduced an asymmetrical eight fan-strut bracing pattern that was very successful. 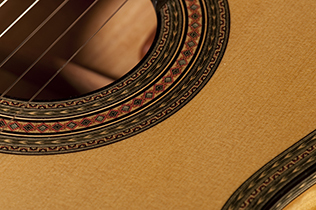 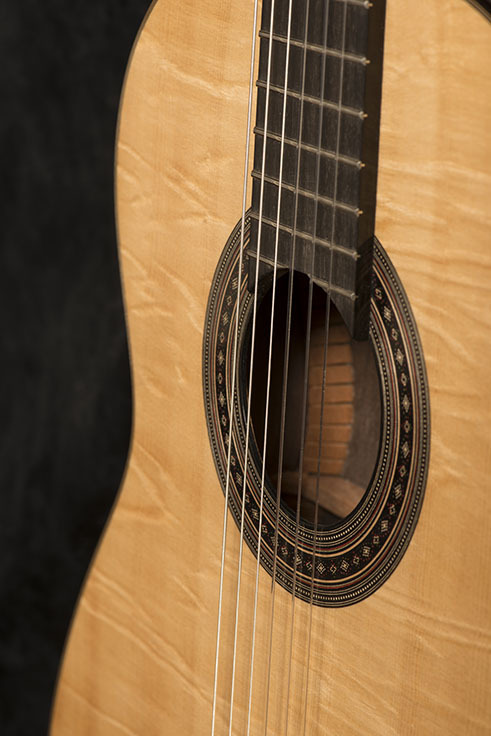 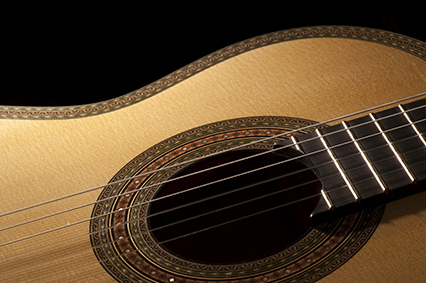 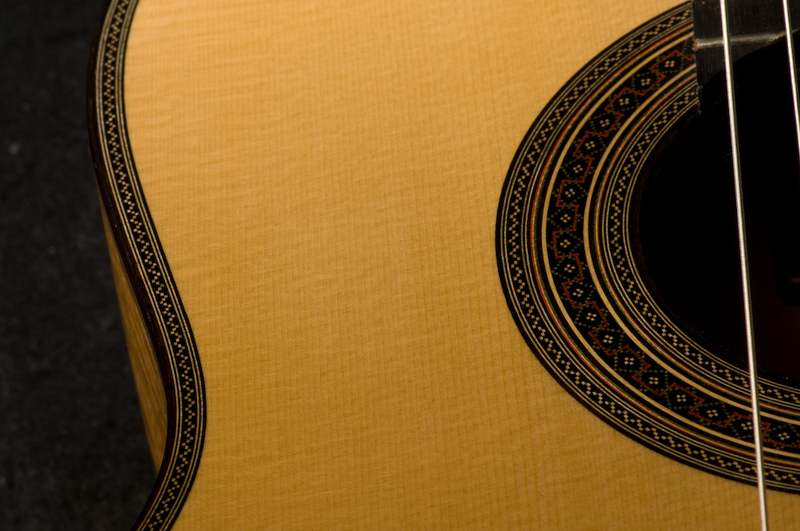 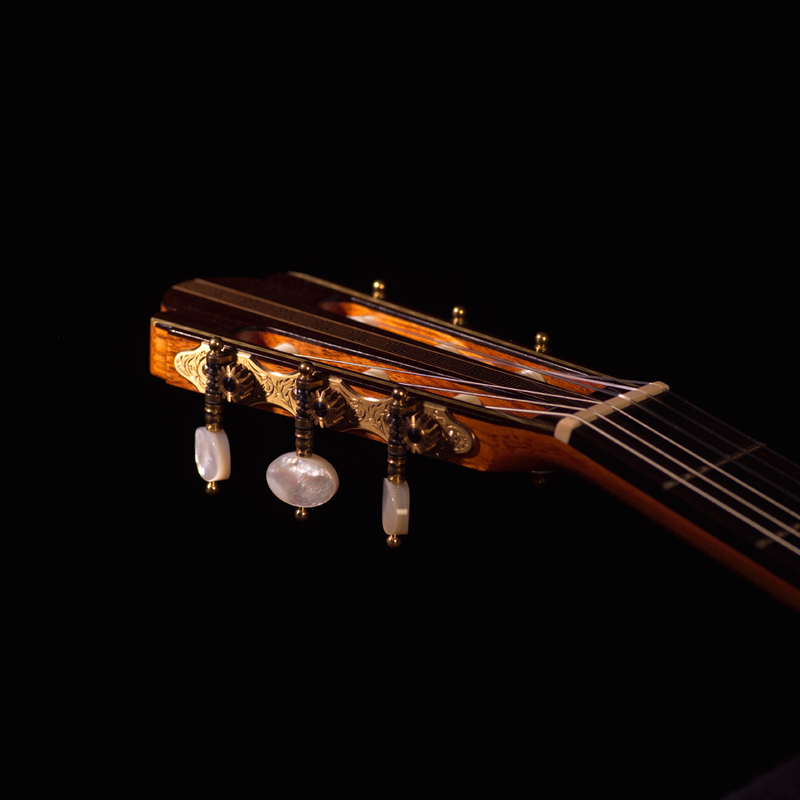 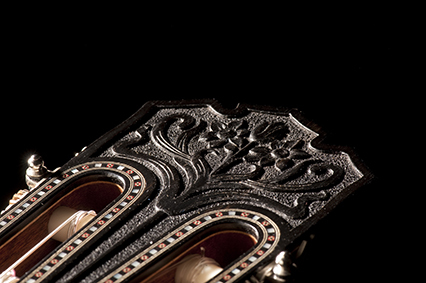 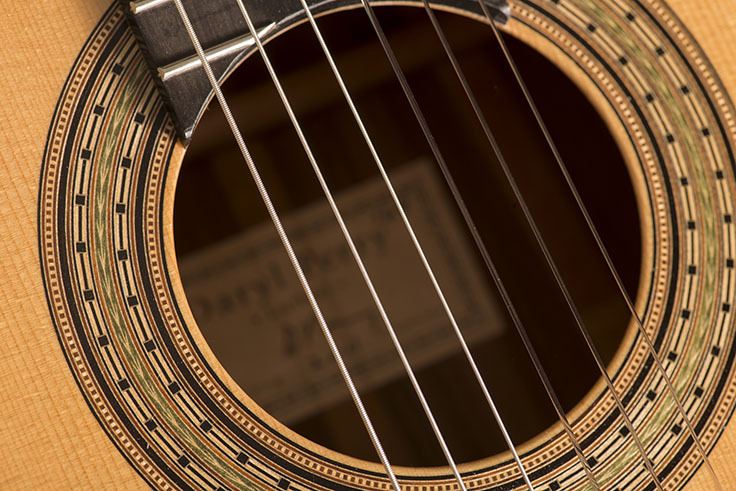 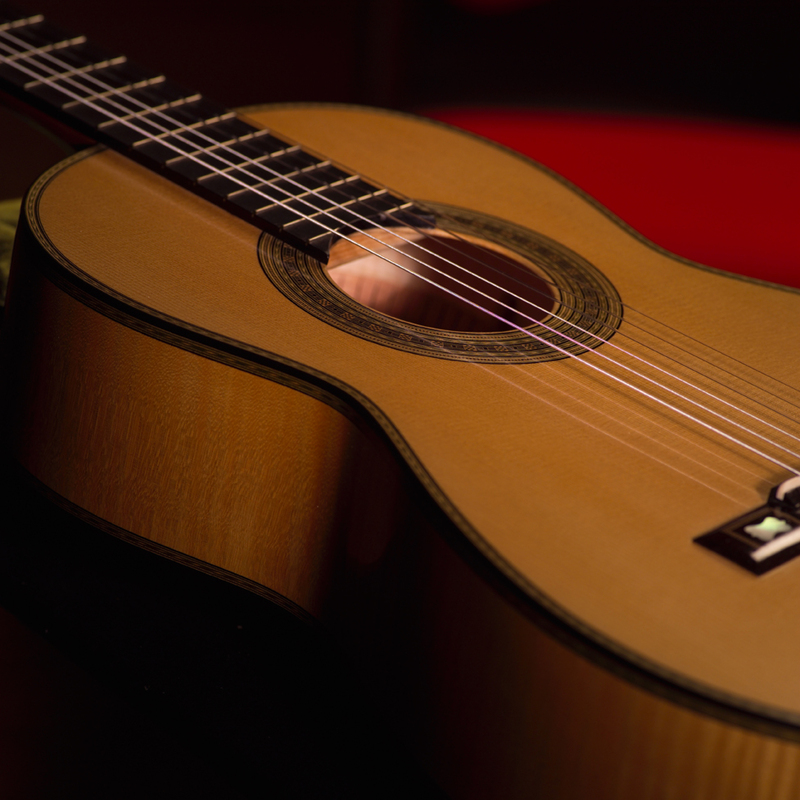 The Garcia/Simplicio guitars are characterized by an extremely high level of craftsmanship, as well as an unmatched devotion to the decorative arts. 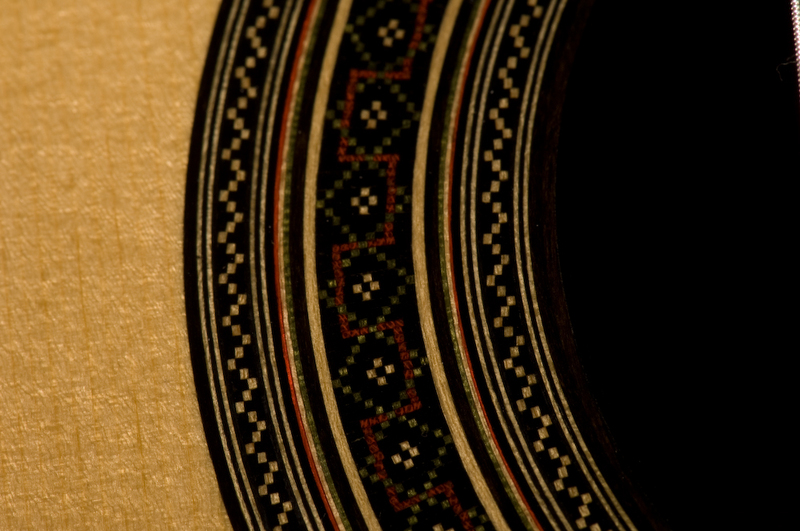 There is often extensive use of mosaic inlay, as well as relief carving in the ebony facing of the head.